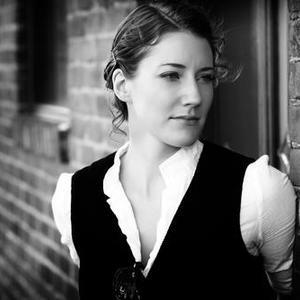 Kathleen Edwards (born July 11, 1978 in Ottawa, Ontario) is a Canadian singer and composer. According to the The A Soft Place To Land Songfacts her father is Leonard Edwards, a former Deputy Minister of Foreign Affairs. Kathleen spent portions of her teenage years in Korea and Switzerland. Her blend of country, folk and pop music made her a favourite of music critics, and a rising star on radio in 2003 with her debut album, Failer, made popular by her hit singles "Six O'Clock News" and "Hockey Skates" Her style of music is sometimes placed in the music genre "alt-country". In 1999, Edwards recorded a six-song EP entitled Building 55 and pressed 500 copies. By the fall of 2000, she was on tour across Canada managing her own gigs. In 2001 she wrote seven of the ten songs for her 2003 debut release Failer. Edwards married musician and producer Colin Cripps in 2004. They later divorced. In 2005, Edwards released Back to Me, which also garnered considerable critical acclaim, and led to the release of the singles "Back to Me" and "In State". The track "Summerlong" also featured on the soundtrack of the movie Elizabethtown starring Orlando Bloom and Kirsten Dunst. In 2006, she was nominated for Juno Awards for Songwriter of the Year and Adult Alternative Album of the Year for Back to Me. On March 4, 2008, her new CD, Asking for Flowers, arrived to excellent reviews. Her fourth album, Voyageur, was released on January 17, 2012.